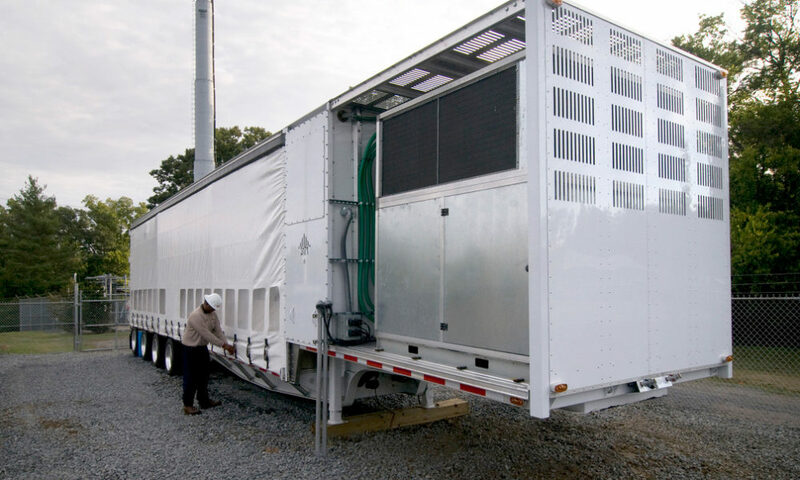 Duke Energy's grid-scale storage battery. The fourth annual Midwest Solar Expo begins today with an expanded focus on storage and the grid of the future. More than 400 people from the solar industry are expected to attend the two-day event, which has grown 25 percent annually since the first show four years ago, said Jake Rozmaryn, president of Eco Branding and director of the expo. The event has changed since the beginning, when more mom and pop installers attended, he said. Now, “it’s a very utility focused show” with more developers, cooperatives, construction companies and others attending, Rozmaryn said. The Midwest Solar Expo has remained in Minnesota because it has the most progressive policies in the region, Rozmaryn said. In other Midwest states – especially Ohio, Michigan and Wisconsin – solar has more ups and downs than in Minnesota, he noted. One topic in particular at this year’s expo is energy storage. Keynote speaker Jim Hughes, chairman of the board of directors of Eos Energy Storage, spoke to Midwest Energy News about the growing integration of battery storage and its linkage to solar production. He is the former head of First Solar, which has developed many of the world’s largest utility scale solar installations. Midwest Energy News: Where are we in the evolution of the energy storage industry now? Hughes: Battery technology is relevant to a host of industries in addition to the electric industry, most obviously the transportation and electronics. Batteries have the subject of research for a long time and there’s a lot we know about them from a technology standpoint. It’s not an immature industry, and no one expects big dramatic breakthroughs in the short term, and frankly they’re not needed for the industry to grow. Is there a battery type that is dominant now, especially for energy storage? Lithium ion are at scale and have reduced their costs over the last five years. Other technologies are coming to scale today. Others will evolve and appear on the landscape and we see their costs reduced. But lithium is the winner because it can be used in lots of different batteries used over time. How would batteries be used on the grid? You can use batteries to provide short bursts to stabilize the grid, shave off peak times from a business. Aside a solar plant storage can redeliver that energy at other times. Storage can be integrated into wind and solar projects, from the distribution infrastructure to behind-the-meter projects at the commercial and industrial level. Do batteries work better with solar power? The integration with renewables tends to work better with solar than wind because the intermittency of solar is a little more predictable, but it will work with both. How have the costs declined? At First Solar we started looking at battery and storage about three or four years ago. Lithium ion at that time was in the range of $1,000 a kilowatt hour with a roadmap that could get to $300 to $400 a kilowatt hour. If you could get to $250 it became interesting and economic. We thought it would take seven to 10 years to get to that point. As we sit here today costs are under $250 a kilowatt hour, as low $155 a kilowatt hour, and projected to go lower. We crossed the divide where there are lots of opportunities to economically use storage. How are regulators dealing with storage? Regulatory systems need to evolve to allow us to take advantage of this new tool. I have a great deal of sympathy for regulatory commissions and their need to be cautious as they look at all the technologies that are out there, including smart grid, distribution generation, storage and large scale utility scale renewables. It takes a while for commissions to do a good job of understanding storage. How fast does it happen? Once the industry starts to get an understanding and there’s precedent the adoption is fairly quick. Look at solar adoption five years ago versus where we are today in terms of the ability of utility commissions to understand and make decisions. There’s been a lot of talk of applying storage to electric substations. Why? Most of distribution system in North America has relative low capacity factors and is built to serve the maximum load you’re going to see — a few hours a day, a few days a year, a few weeks a year. If you have a substation without storage as a tool when you run out of capacity your only option is to expand the entire station to accommodate that growth. If you add storage the analysis changes – you can expand the station or use storage to avoid that load ever getting to the substation. We have billions of dollars invested in our electric infrastructure. Storage gives you leverage in distribution systems. It’s powerful. It’s a new tool where you can compare the expansion of a substation to adding storage instead. Should storage have a renewable portfolio-style standard to move the market forward? The renewable portfolio standard has driven the need to mandate a storage standard because the adoption of renewables has gotten ahead of the capability of the grid to adapt. But renewable mandates drive the adoption of storage because it’s the most economical way to adapt the grid to higher penetration of renewables. But I think you’ll see plenty of adoption without (a mandate). Will we soon see batteries in our homes storing electricity? My view is we’ll get more flexibility if it’s put outside house and inside the distribution system itself. Electric vehicles could, however, serve as batteries and they could be used as a reserve for the grid. But looking at storage at the distribution level, at this point, is more cost effective than having them in homes. We’re going to see a lot of storage at the commercial and industrial sites. There are strong economics and tremendous benefits to the grid of putting storage on those sites to manage their loads. Is the supply chain solid for batteries? Can we run out to the key resources required to build them? Huge supply chains have been built for batteries at scale. It’s there. There’s nothing exotic about those materials. I don’t see this as a huge issue.